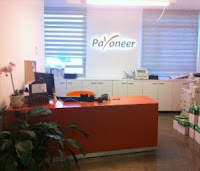 Founded in 2005, Payoneer is an industry-leading global payments company accelerating growth for its customers by improving the way they manage and pay partners, affiliates and independent workers in more than 200 countries worldwide. 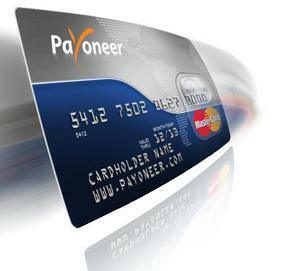 Payoneer’s complete solution provides a simple, secure, compliant and cost-effective way for companies of all sizes to offer superior and cost-saving payments options including: Prepaid Debit cards, deposits to local banks worldwide, wire transfers, global and local e-wallets and local-currency paper checks. The Payoneer Prepaid Debit Card works just like any other prepaid debit card and can be used to make purchases online, in stores, and at ATMs worldwide where MasterCard®/Visa is accepted. You can apply for the Payoneer card in order to receive payments from any of the thousands of companies that offer payment via Payoneer. Private Loads are reviewed on an individual basis, and are subject to approval by Payoneer’s Payment Approval Department. Payoneer reserves the right to decline private loads and set requirements and limits on a case by case basis. 0 Response to "The Best Way to Get Paid - Payoneer"